..."We took the canoe out today for her (and our) maiden family voyage.....and it was flawless, effortless, fast, responsive-- a true and absolute joy to paddle! And to load! Thank you for helping us find the perfect boat for our needs!..." ..."Scott is about the straightest shooter on the planet. He has always been rigorously fair, generous and gone beyond the call of duty in his dealings. He's a pleasure to work with and he has a good selection of canoes and gear. He's a meticulous craftsman himself, when it comes to repair and refurbishing. If you want the personal touch and someone who stands behind what he sells, this is your guy!..." 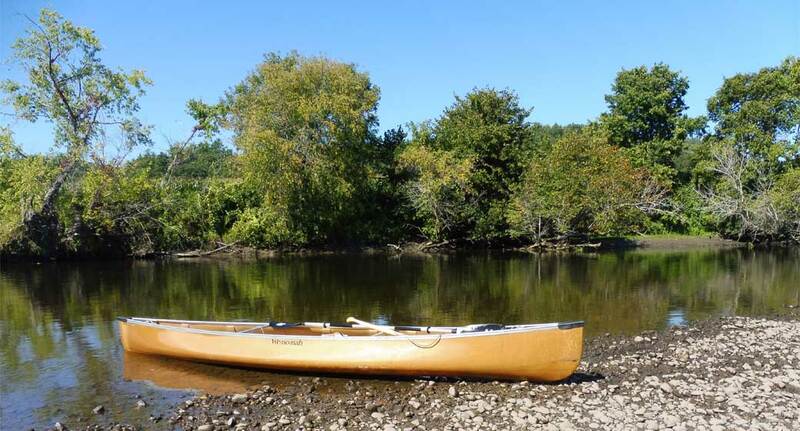 ..."As a kid I paddled canoes at summer camp and from time to time on local lakes and rivers. It wasn’t until after graduating college that I got my first canoe, a 95-pound Old Town Discovery that we called the tug. It served us well fishing and on numerous canoe camping trips. As time went on, we seemed to paddle less, as it was such a chore to haul the canoe from the garage and hoist it onto the car. About 6 or 7 years ago I decided I wanted a solo canoe for 3-5 day camping trips and fishing. 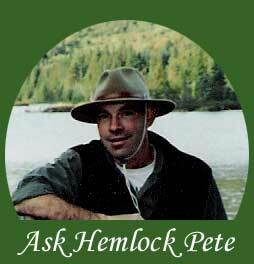 Some years earlier I’d met Scott thru local cycling events and he mentioned he owned a canoe shop called Hemlock Pete’s. I visited Scott and described my needs. We looked at the options that Wenonah offered, and Scott helped me narrow it down to two boats and then let me make the final decision. I’d settled on a Wenona Wilderness in Kevlar, ... Scott said, "excellent choice, I’ve got one in stock, take it for a paddle and see what you think". The Kevlar boat was a bit of a splurge for me, but I gotta tell you after the first paddle stroke, I was smitten! Several years passed paddling the Wilderness when I decided it was time to visit Hemlock Pete’s again, this time to upgrade my Discovery. 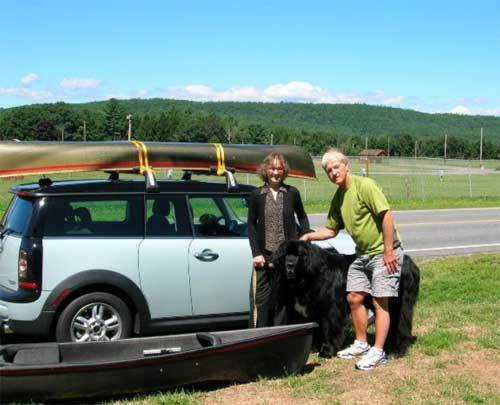 I told Scott I was looking for a new tandem canoe that I could do multi-day trips with on both lakes and rivers, something that would carry a load well and would be stable when the big waves kicked up on Lake Umbagog, additionally I wanted a boat that I wouldn’t dread loading and unloading from the car. Together we narrowed down the options and I chose the Spirit II in Kevlar. Taking for a test paddle I only needed a few minutes in the Spirit II to know it was the right choice for me. After a number of years of paddling my two Wenonah’s on a variety of trips, on calm and in some pretty rough conditions, I’ve never questioned my choices or Scott’s expert recommendations.